Exposure of pregnant monkeys to the widely-used chemical bisphenol A (BPA) disrupts development of fetal ovaries, potentially causing birth defects and reproductive problems that would not emerge for a generation, according to research by Dr. Patricia Hunt and colleagues at Washington State University and Dr. Catherine VandeVoort at the CNPRC. The research was reported in a paper published this week (Sept. 24) in the journal Proceedings of the National Academy of Sciences. BPA is a chemical used in plastics, epoxy resins that line cans, and cash register receipts. Most people in the United States have measurable levels of BPA in their blood that indicate that exposure is nearly continuous. By using an animal with a reproductive system like that of humans, the research bolsters earlier work by Hunt and others documenting widespread reproductive effects in rodents. Pregnant monkeys were given doses of BPA designed to produce a blood level of BPA similar to that found in humans. In this paper, the researchers looked at effects on the developing ovaries of female fetuses.This study has also provided samples to investigators working on other organ systems. A study on the mammary gland was led by researchers at Tufts and published in PNAS in May. Additional papers describing effects on other organs should be finished soon. When BPA was given in the second trimester of pregnancy, the fetal eggs had an increased incidence of chromosome damage. 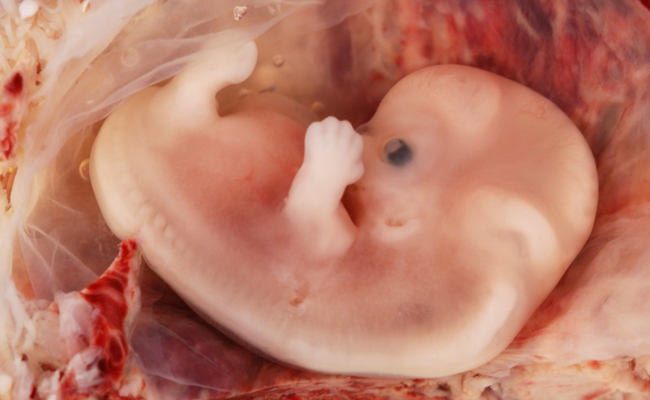 This damage could lead to miscarriage or birth defects in future offspring of the fetus. When given later in pregnancy, BPA disrupted the packaging of eggs into follicles. Follicles are the structures that eggs need to develop and grow properly. Why use a monkey model? Low doses of BPA have been shown to disrupt development in rodent models, but because mice naturally have low estrogen levels they may be more sensitive to BPA than humans. The study of BPA in a primate model is critical because the rhesus monkey has estrogen levels as well as reproductive and developmental processes that are similar to humans. The amount of BPA given to the monkeys in the study produced blood levels of BPA that are slightly lower than the mean level measured in humans in recent studies. Therefore, the results of this study are highly relevant to human health. One of the major objectives of the CNPRC is to conduct primate studies in critical areas where rodent experiments are not sufficient. This study will help inform the public and regulatory agencies of the potential effects of BPA in humans.